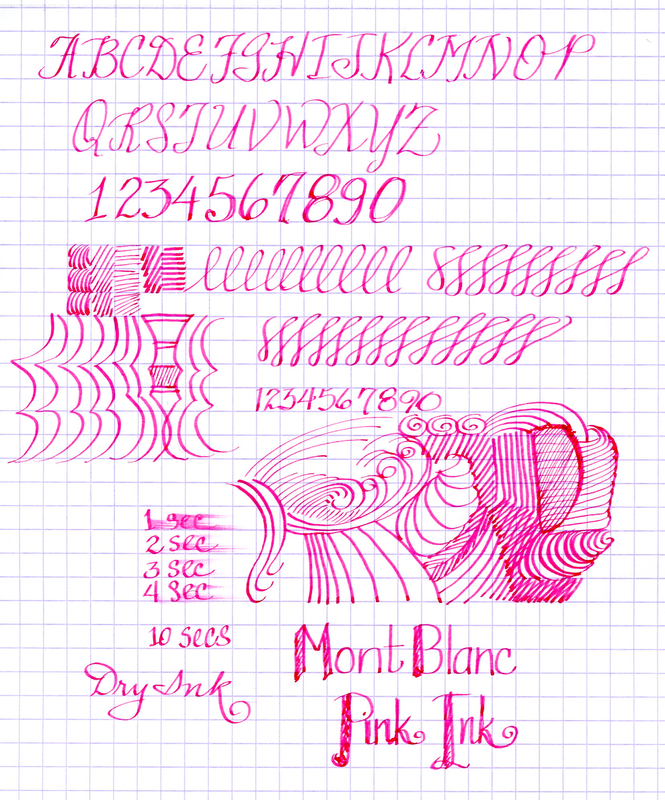 Celebrate spring with Mont Blanc’s Pink Ink. It is the perfect ink to spruce up any diary or journal and get your doodling juices flowing. 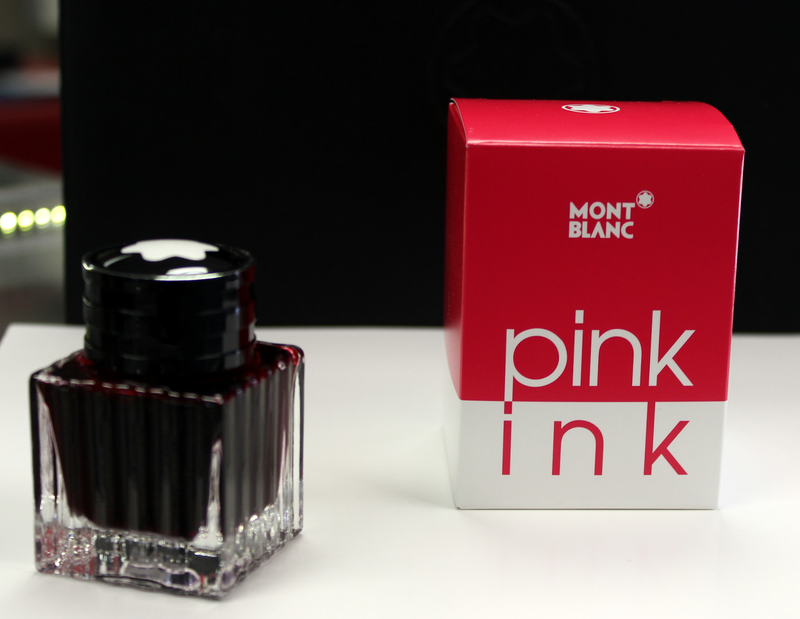 The bright pink box that the ink comes in is a departure from Mont Blanc’s typically understated packaging, but that is part of the fun with this ink. Mont Blanc Pink is probably not going to be an everyday carry for most folks, but if you like pink you will like this shade. It is a fun ink to doodle with as it shades well and dries fairly quickly. 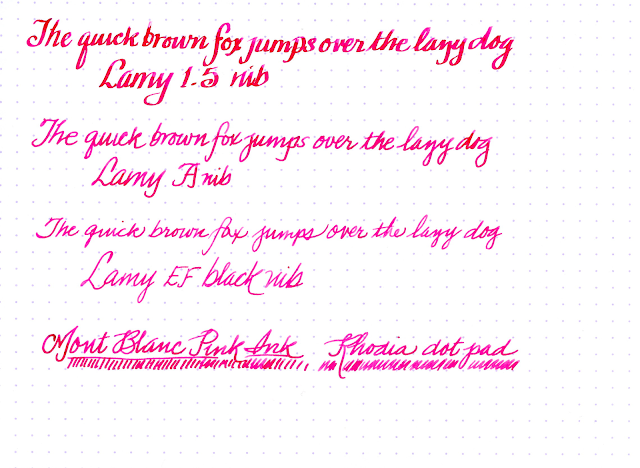 I inked up my Hot Pink Safari so I could test different nib sizes. The larger the nib, the darker the ink appears. I also compared it to another popular pink ink, Iroshizuku Kosumosu (Pink). 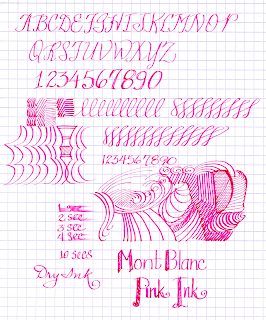 The Mont Blanc Pink is a tad brighter and a slightly deeper shade of pink than the Kosumosu. 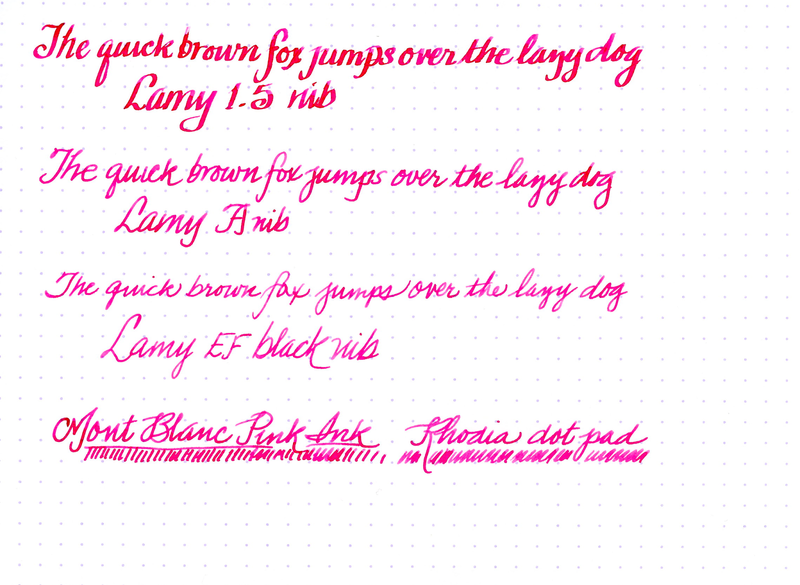 Pen used for the Mont Blanc Pink Ink is a Pilot Prera Pink, with a Calligraphy (CM) nib. Pen used for Iroshizuku Kusomosu is a Pilot demonstrator with a Calligraphy (CM) nib. -Linda, Pen Boutique Ltd, Columbia Store.